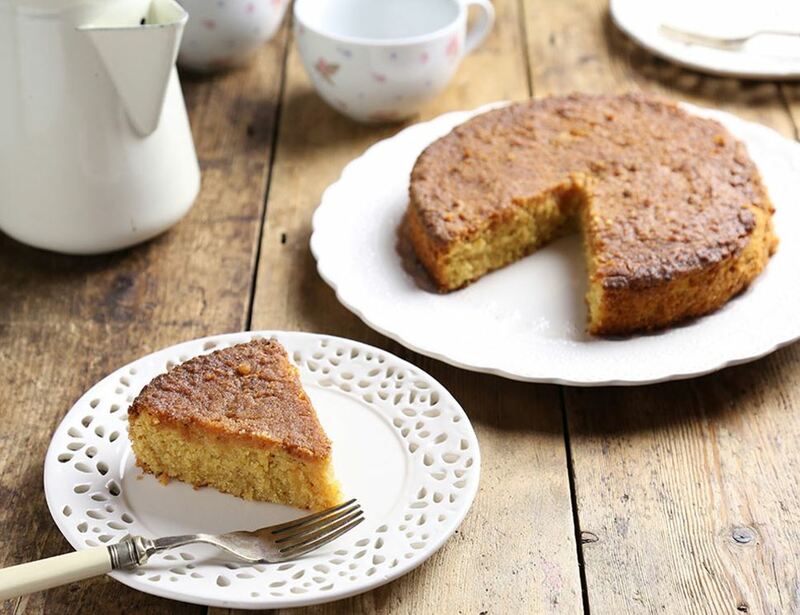 This polenta, almond & lemon cake is nice and sleek, and has a great blend of butteriness and tanginess, and a fabulous texture that comes from the polenta and almond combo. It all works together so very well. We think it's just downright great. Due to the dense ingredients in this lovely cake it often has a heavily toasted top, but fear not, the centre is soft and fluffy and moist. Caster sugar*, Butter (milk)*, ground almonds*, egg*, polenta*, lemon juice*, lemon zest*, baking powder* (mono calcium phosphate, corn starch*, sodium bicarbonate), salt. * = produced to organic standards. For allergens, including cereals containing gluten, see ingredients in bold. May contain traces of Gluten, Peanuts, Soya, Mustard, Sesame. Store in a cool dry place out of sunlight and consume by end of the best before date.